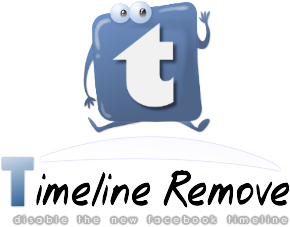 If you are the one who hates the new Facebook timeline feature and want to get back to the old style, then Timeline Remove would be the tool you are looking for. 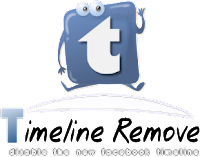 Timeline Remove is a browser add-on or extension comes very handy in restoring the old classic interface of Facebook without modifying the visitor timeline behavior. Timeline Remove works like charm once it is installed and hides the latest Facebook timeline feature with On/Off toggle button which is added to the browser toolbar. Supports popular web browsers like Firefox, Google Chrome, Safari, and Internet Explorer. Installs and uninstalls without any problem. Starts instantly after installation without browser restart. Change only the appearance of Facebook profile pages but not the inner source-code. 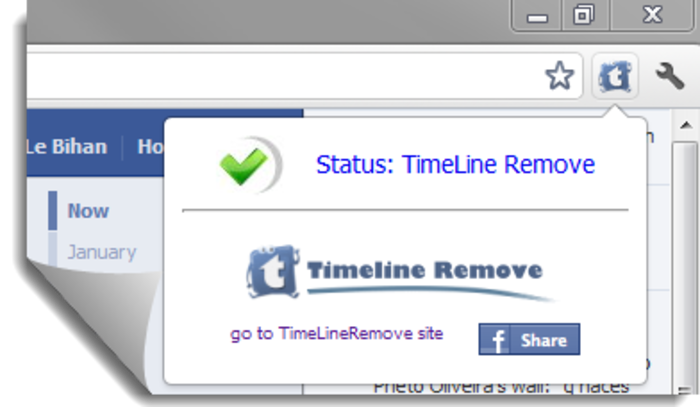 Your friends and family who have not installed the ‘Timeline Remove’ extension could see your Facebook timeline as usual. Go to the below download page and scroll down to see the installation of various browsers.